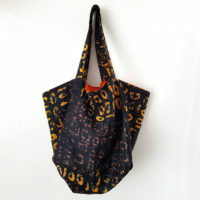 The cube tote bag consists of squares that come together to make an interesting shaped bag. 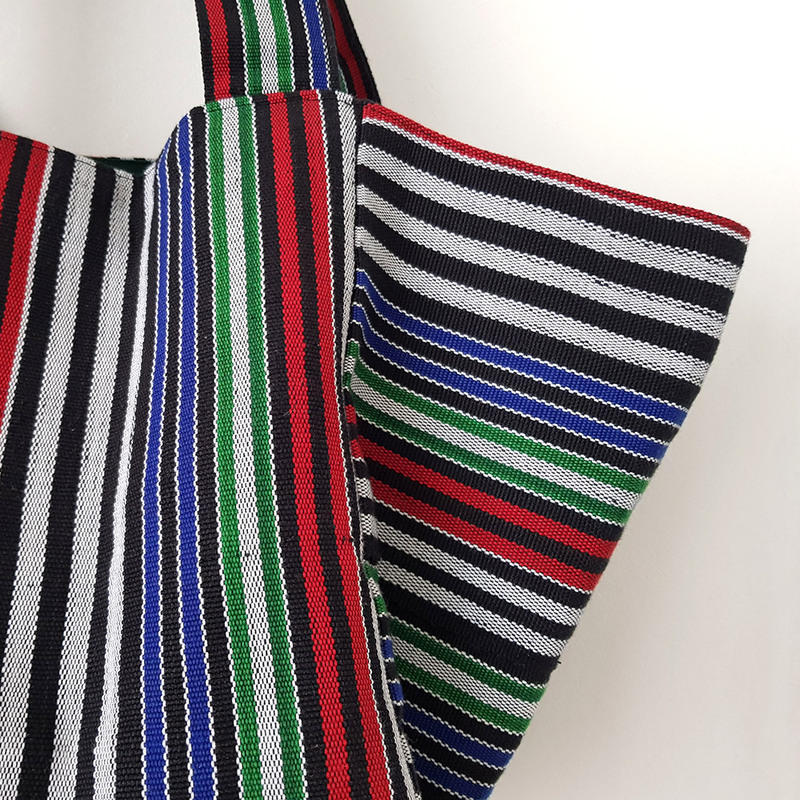 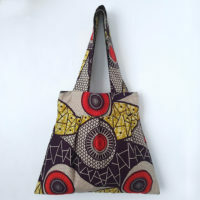 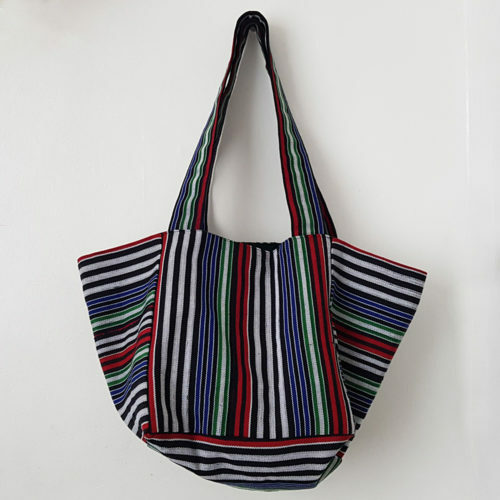 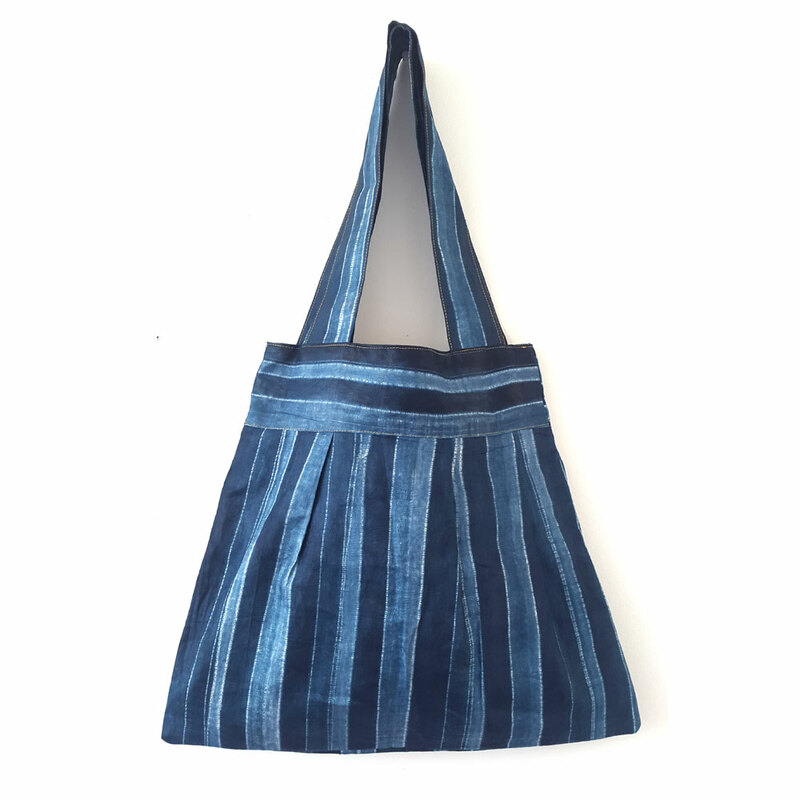 This tote bag is made using ‘Aso-oke’ which is a loom-woven textile from Nigeria in West Africa. 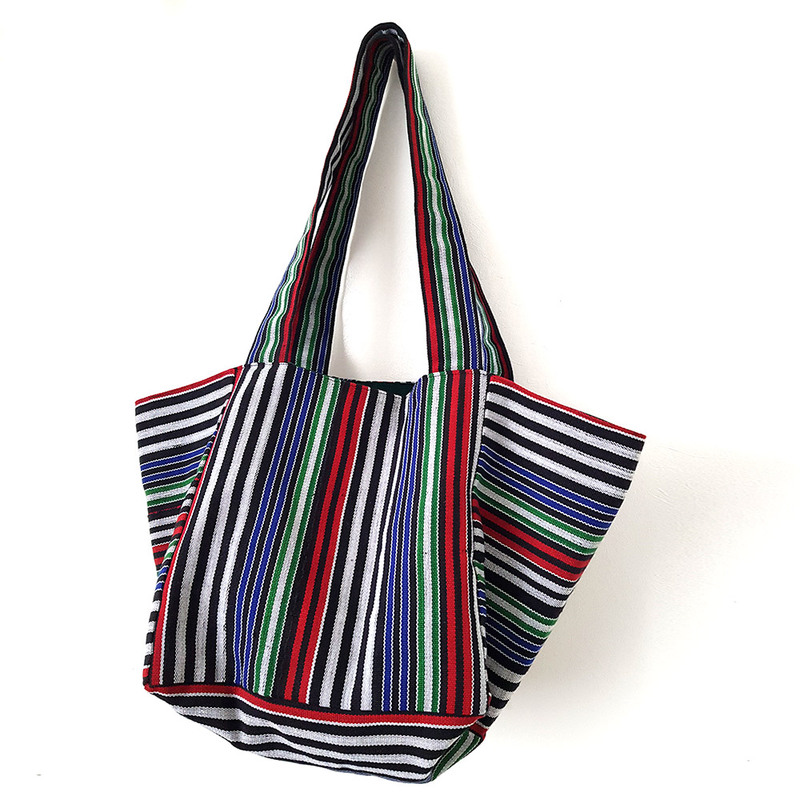 It is hand woven and the finished strips are usually sewn together to make clothing. 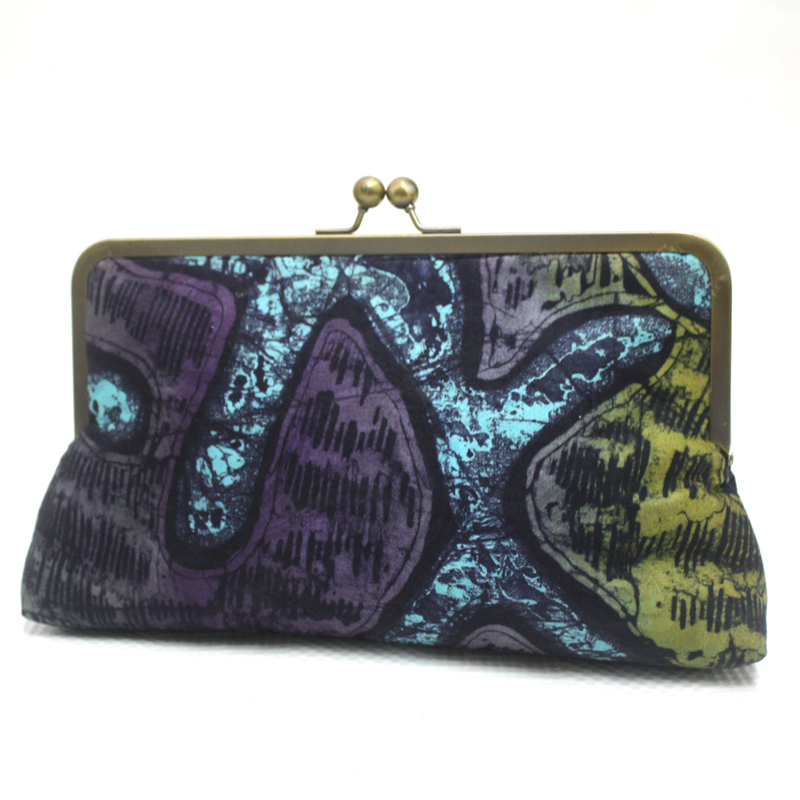 The textile is worn during special occasions like weddings, festivals, coronations and so on. The bag is large and roomy perfect for a day out in the park, shopping, a weekend break and everything else. 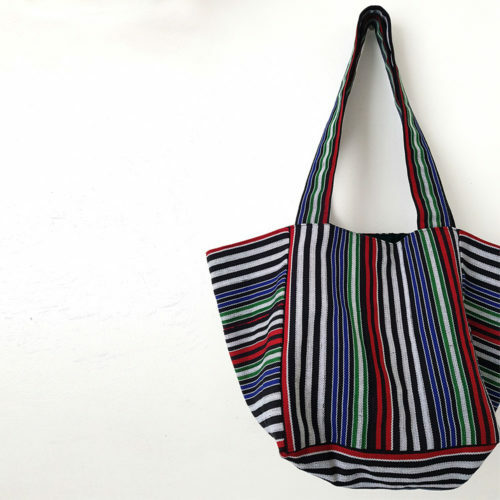 It would also make a great alternative to plastic bags for your grocery shopping. Grocery shopping, never looked so stylish! 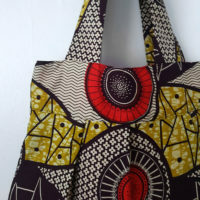 Just a few of the many possibilities of this versatile tote bag. 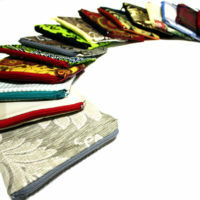 The fabric is thick and durable and will just keep going and going. 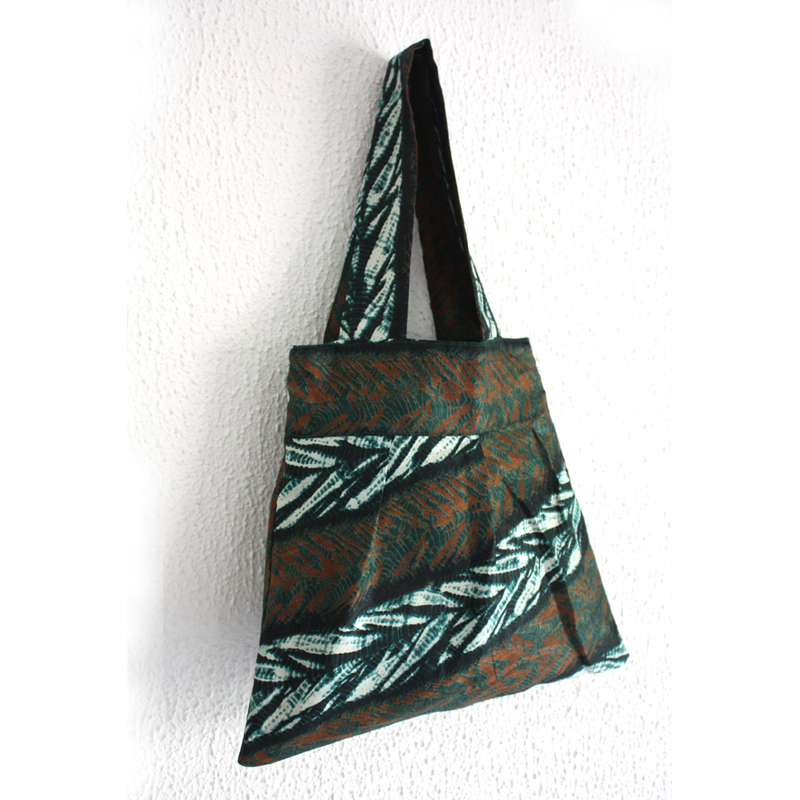 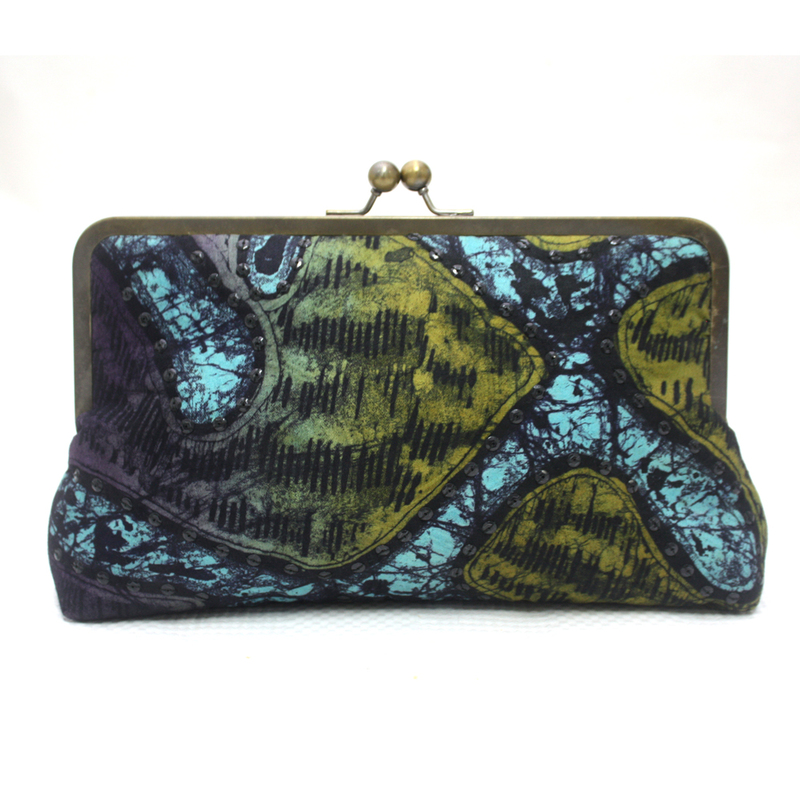 It is lined internally in a contrasting green cotton fabric and has an internal pocket for storing a few small items.